Tested on 1.22 public beta. 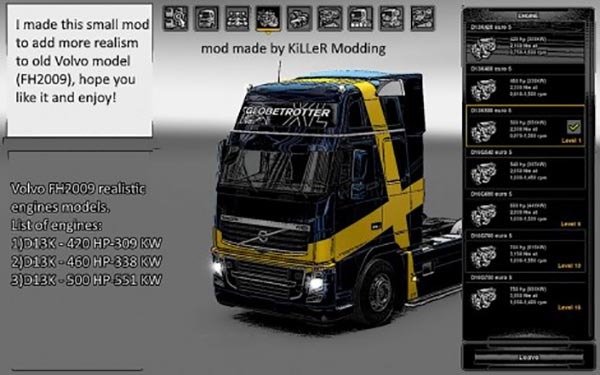 More realist engines to old volvo model (FH 2009). Added 420, 460 and 500 HP with their values. Hope you like it!